Over the past few years, Ebola and Zika have shown the world the importance of One Health – an interdisciplinary approach to health care that brings together humans, animals, and the environment. Ecologists have repeatedly pointed out that human impact on the environment (via deforestation, development, etc.) is bringing people and wildlife into ever increasing contact. Additionally, the world must discover how to feed the projected population of nine billion people without causing further environmental harm. Clinicians in both human and animal health must find ways to communicate despite our siloed systems. This will require conjoined, sustained, and simultaneous attention across many professional arenas. One Health is a path to accomplishing the UN Sustainable Development Goals, from Planetary Health to Global Health Security. During this COCA Call, clinicians will learn about several arenas of One Health, discuss the critical need for and process of connecting the many passionate stakeholders around the world, and share an update on efforts across the U.S. and beyond to make One Health ways of thinking the ‘default way of doing business. During this COCA call, subject matter experts from the American Academy of Pediatrics (AAP) and the CDC highlighted this critical information and discussed strategies that primary care providers and medical subspecialists can use to improve flu prevention and control in children. The United States-Mexico border region is unique in that many people move fluidly and regularly (for example, daily, weekly) between the two countries to live, work, attend school, socialize, and seek medical care. Those who live in the border area may not regard movement between border cities or states as “travel.” This context should be considered when asking women about travel history and potential exposure to Zika. 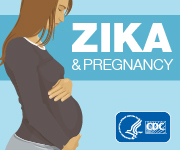 CDC and other researchers described congenital Zika syndrome, the pattern of birth defects in infants and fetuses associated with Zika virus infection in pregnant women. The identification of a pattern of clinical findings can assist pediatric healthcare providers in providing the most appropriate care for infants and children infected by Zika virus before birth. The first annual global One Health Day was held Thursday, November 3, to raise awareness worldwide about the One Health concept, which recognizes that the health of people is connected to the health of animals and the environment. CDC is among the many organizations participating in the international campaign. CDC launched an updated One Health website and took part in a global hashtag Twitter campaign using #OneHealthDay. CDC’s One Health Office Director and veterinarian Dr. Casey Barton Behravesh also has published a blog about preventing diseases that can spread between people and animals. Thirteen cases of Candida auris (C. auris), a serious and sometimes fatal fungal infection that is emerging globally, have been identified in the United States. HeartWare Inc. is recalling the HVAD controller due to a loose power connector which may cause the rear portion of the pump’s driveline connector to become separated from the front portion of the driveline connector. A loose connector may allow moisture to enter the controller causing corrosion, electrical issues, reduced speaker volume and connection failures. If the speaker volume is decreased, the patient may not hear the alarm. If there is a loss of connection, the pump may stop which could cause serious adverse health consequences, including death.